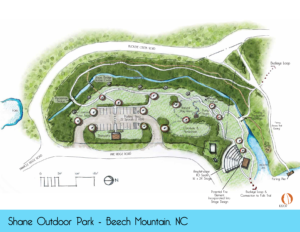 In addition to a 43-acre recreational park, Beech Mountain is home to a vast network of hiking and mountain biking trails–perfect for elevating your sense of adventure and fine-tuning your harmony with nature. Over 20 miles of hiking trails wrap up, down, and around the mountain, offering boot-jockeys focused perspectives of wildlife, waterfalls, and breathtaking scenery. 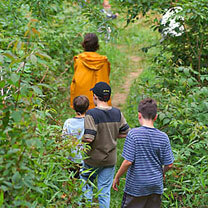 There are trails for everyone–from novice to advanced hikers–winding through wooded hideaways and lush, open balds. For more information about hiking on Beech Mountain, please click here. For a downloadable map of Beech Mountain’s various hiking opportunities, please click here. And for those anxious to get their wheels turning, Beech boasts an abundance of great cycling with 50 miles of paved bike routes. These roads earned international acclaim in 1998, after helping Lance Armstrong regain his championship form after a bout with cancer. For more information about biking on Beech Mountain, please click here. For a downloadable map of Beech Mountain’s biking trails, please click here.